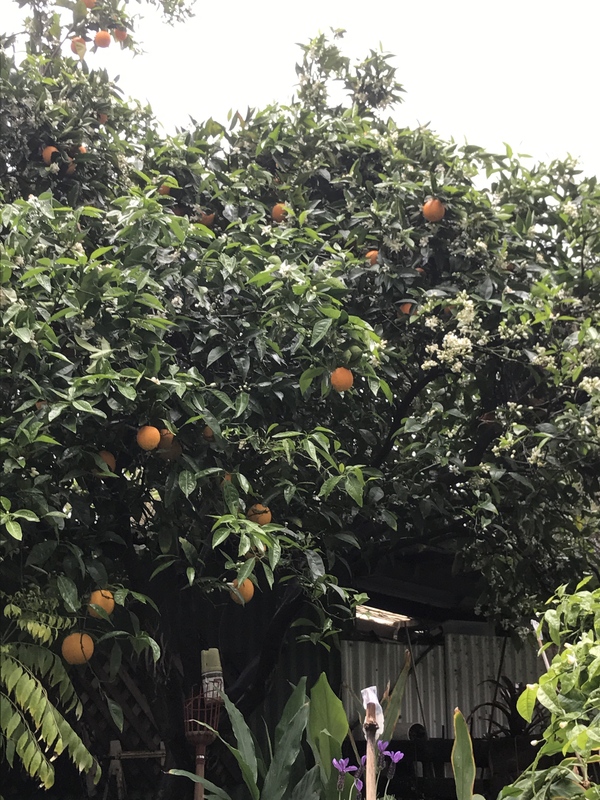 Our aquaponics system has become more and more acidic over time, and we need to add a small amount of potassium bicarbonate most days to maintain the pH close to 7. 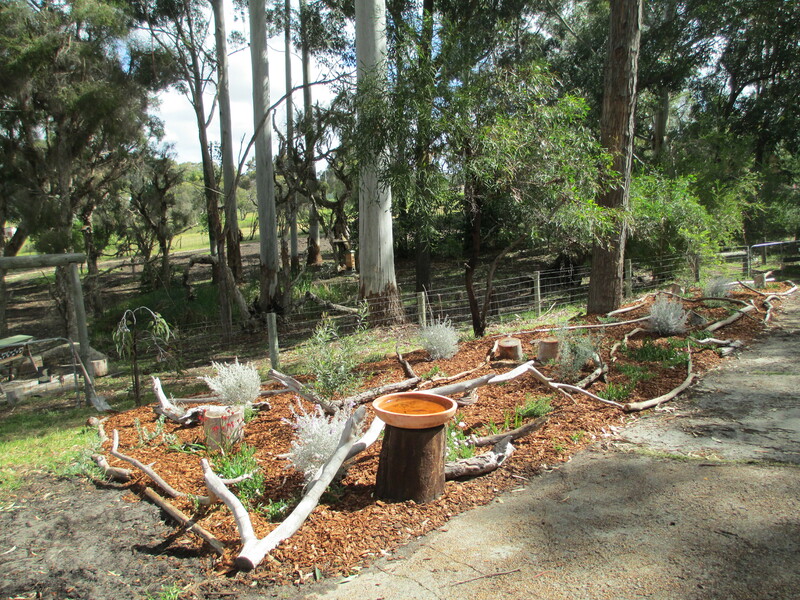 We know our bore water (which is all we have, not being on the mains water system) has a pH of 6.4, but also feel the amount of gum leaves that land in the system contribute. 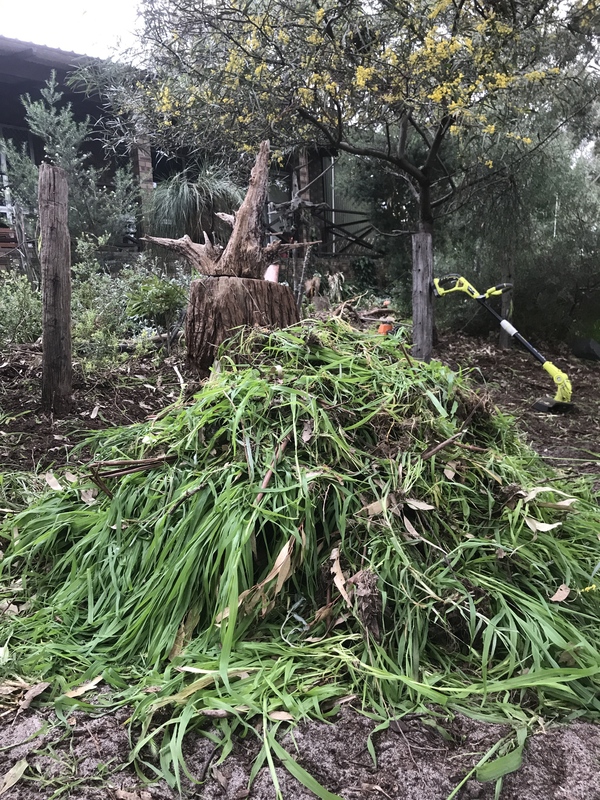 The piles of gum leaves that build up on the ground over the course of the week (between blowing, raking and removing), also provided snake hiding spots (see January), something we were keen to reduce. 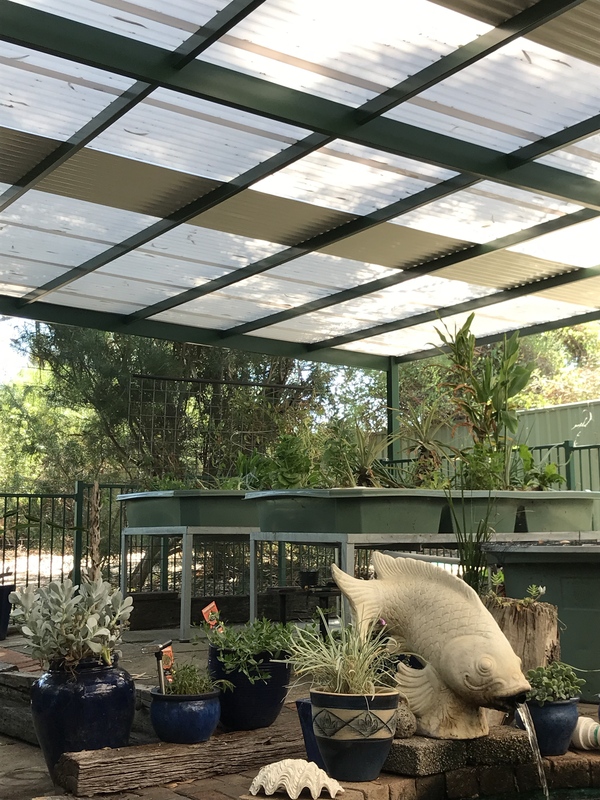 So, we decided to cover the whole system and aquaculture system in the swimming pool with a patio roof, built by Great Aussie Patios, who were great from start to finish. Although the area was basically just a very large rectangle, there were many different heights and roof lines to link to and they did a great job. It has been the best thing! 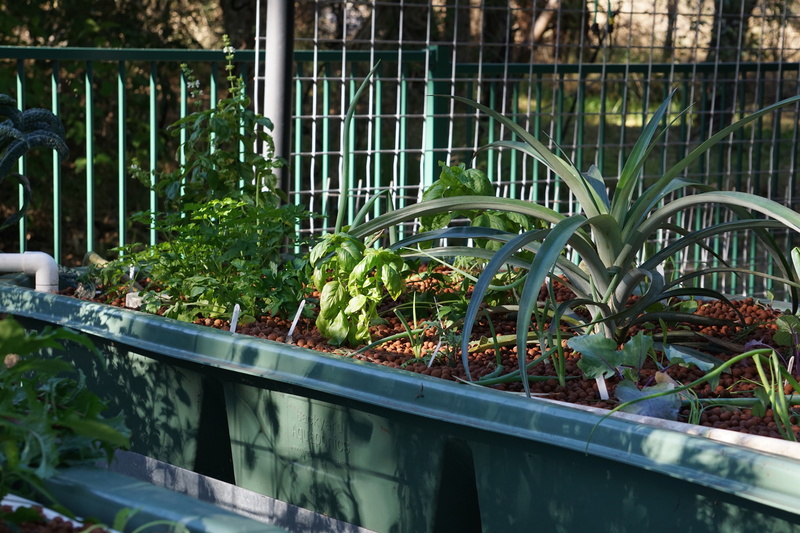 We designed the roof to allow plenty of light to the grow beds and pots, but also to provide tin ‘walkways’ for blowing the leaves off. The roof has so successfully reduced the amount of leaves! 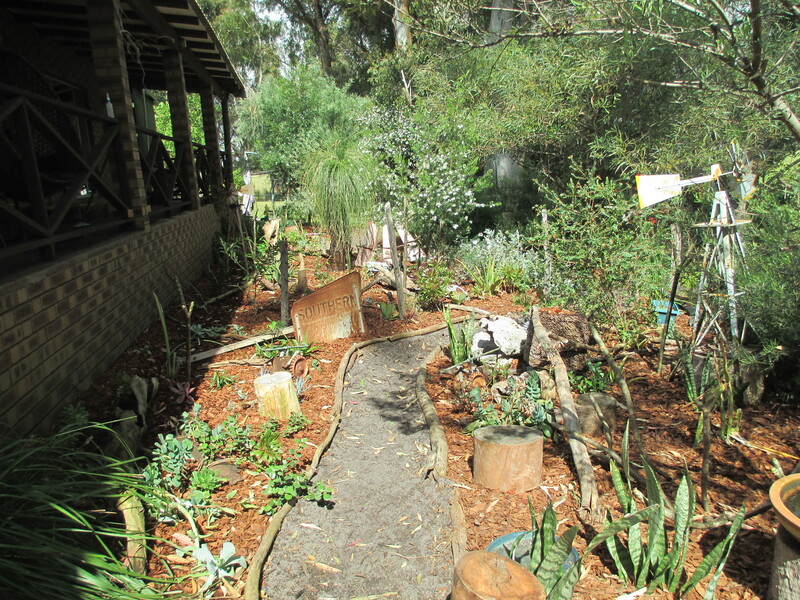 The pool, grow beds and fish tank have remained clean, as has the ground- reducing our work load enormously. 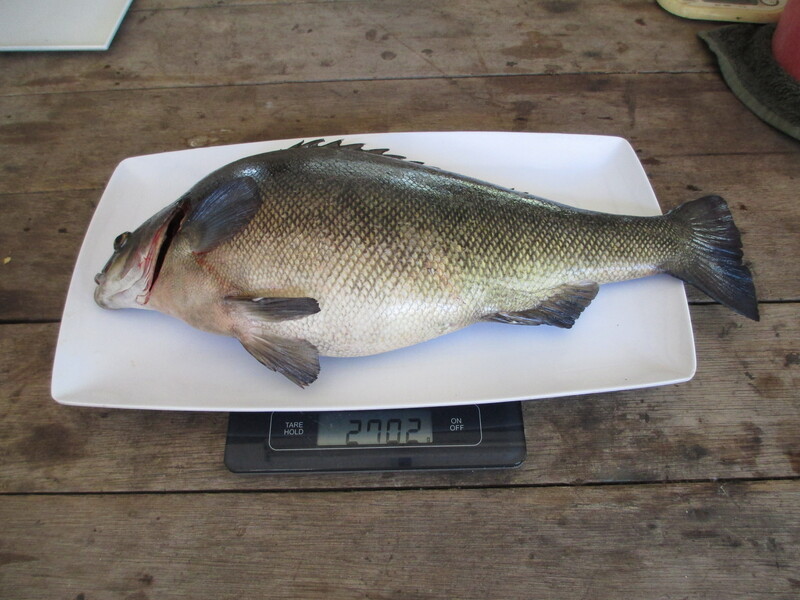 We had a good harvest of silver perch from the swimming pool, using an adapted prawn net. 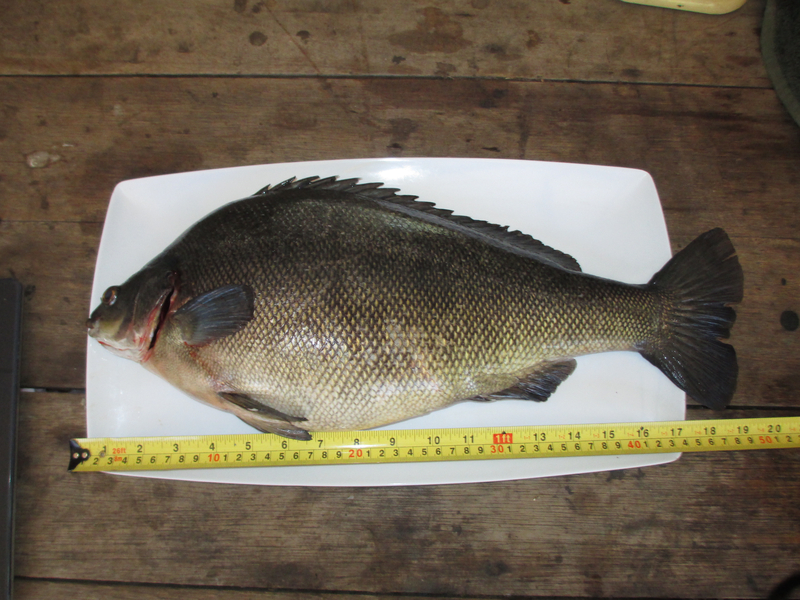 We netted 8 fish, all of which were over a kilo, but the biggest of all was this one- an amazing 2.7 kg! We assume it was one of the original perch we put in 5 years ago, to get to such a size……… either that or it is a real greedy guts! 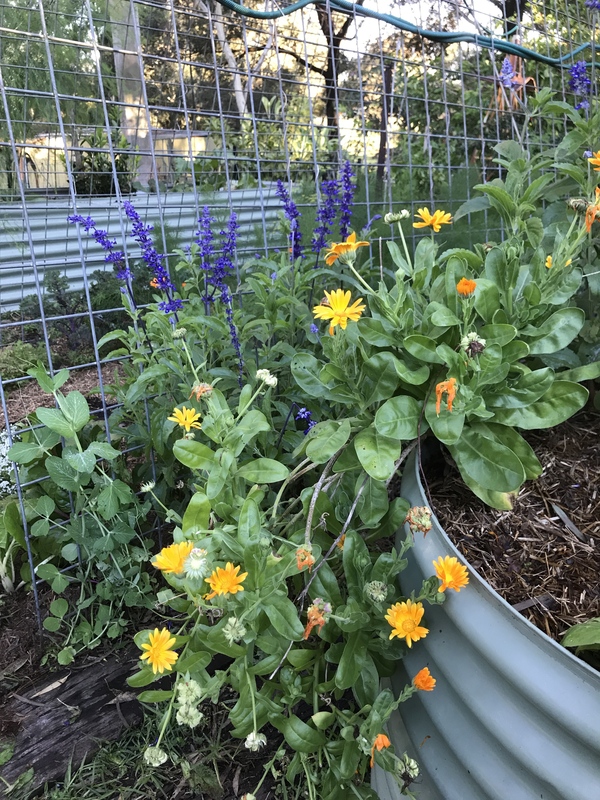 Just love this time of year when the greens are growing prolifically both in the aquaponics system and the vegetable garden! 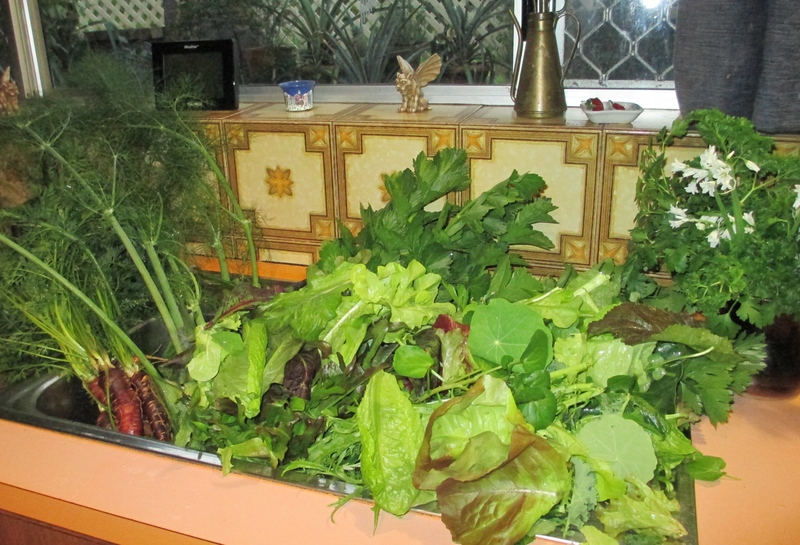 Lettuce, kale, chard…. they just grow amazingly before it starts to get hot and they all bolt. We are getting so much we are sharing with family and friends as well as eating plenty ourselves. Endless supply of fresh greens! 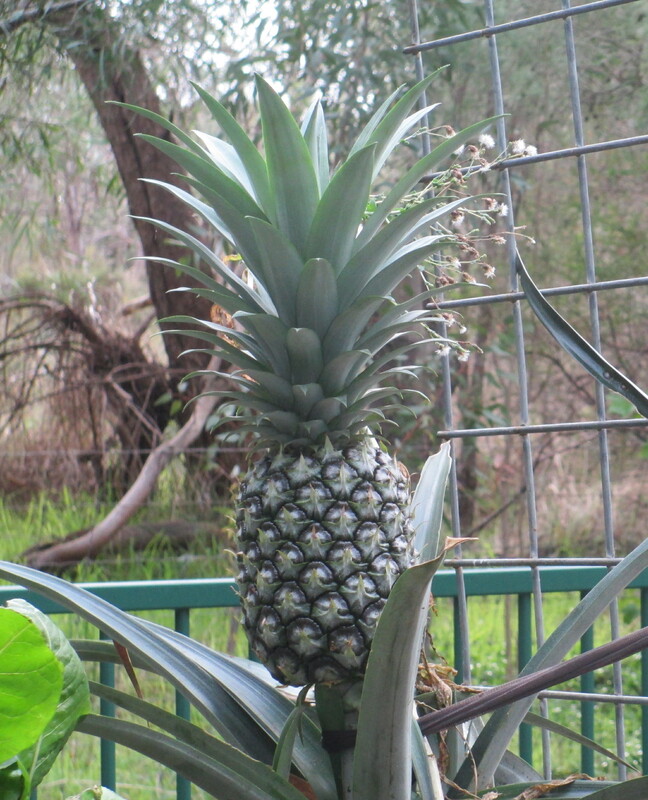 The waiting was worth it- the pineapple growing in the aquaponics system was finally ready- at the end of July in a Perth winter! Who would believe it? 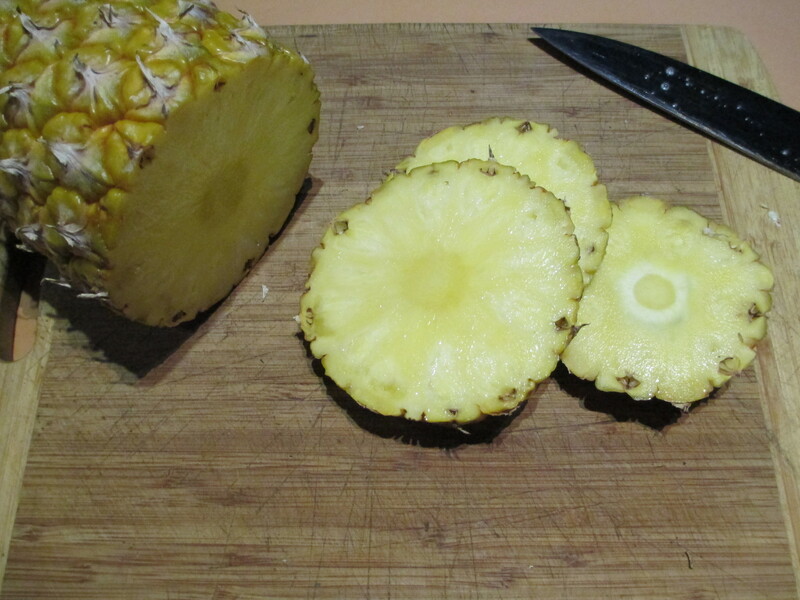 But, all who have tasted it agree it is the most delicious pineapple! 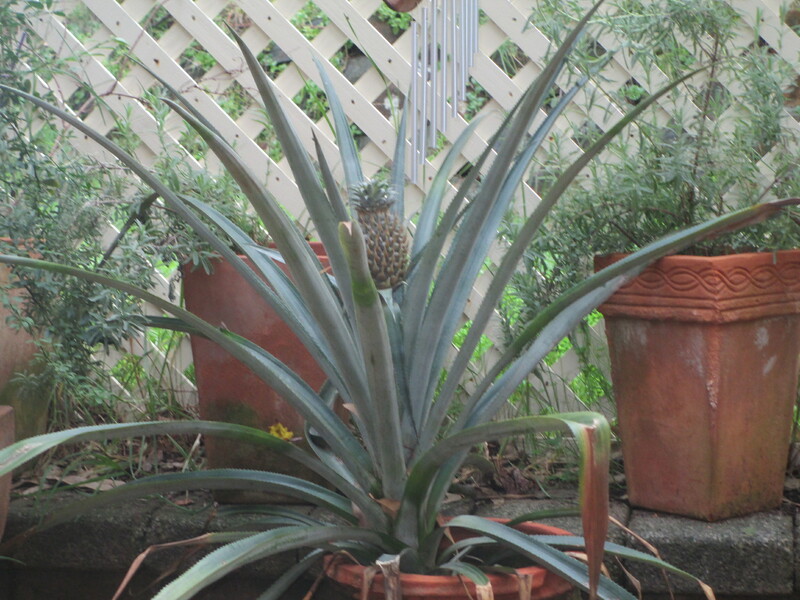 The other pineapple growing in a pot (see the May post), should be ready in a couple of months or so, it will be interesting to see if there is a difference in the taste (aquaponics vs dirt). 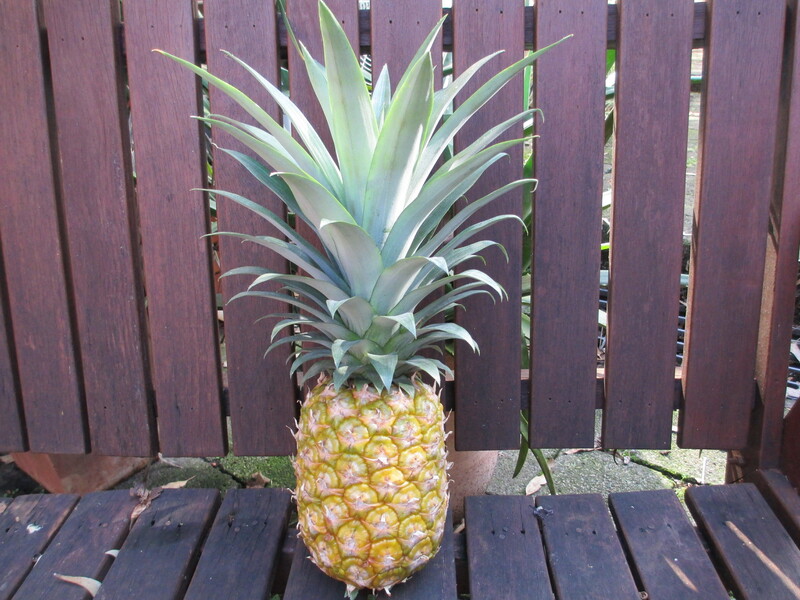 When this one is finished, the top will be prepared and planted ready to grow another pineapple! 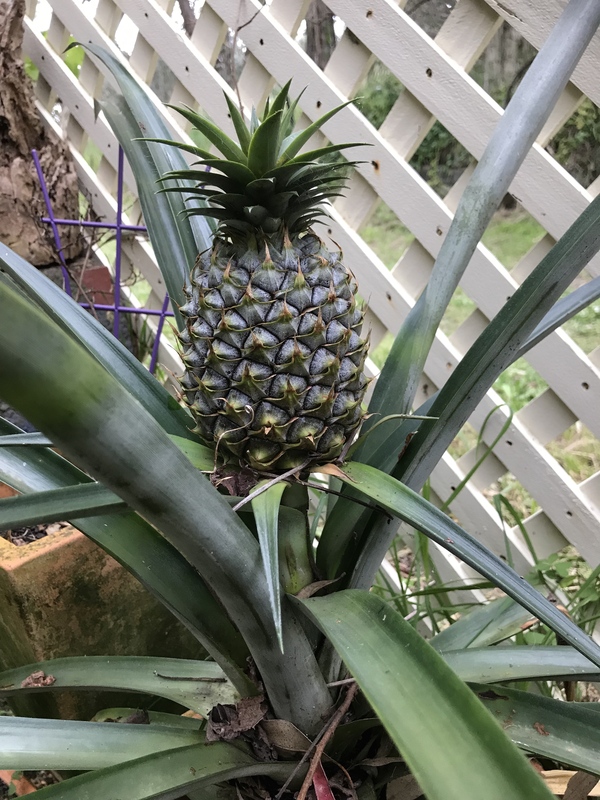 We have been growing pineapples from the tops of bought pineapples, and finally have some fruit this year! 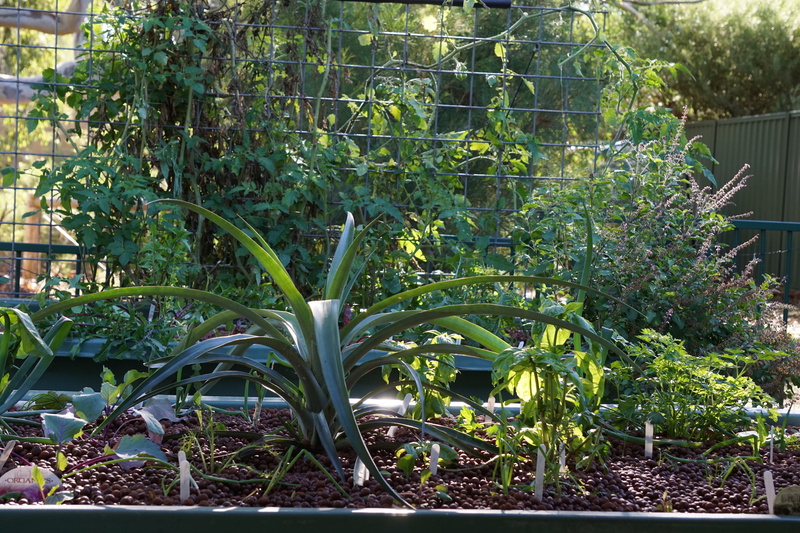 The plants in the aquaponics system have grown much quicker than those in the garden, interestingly. 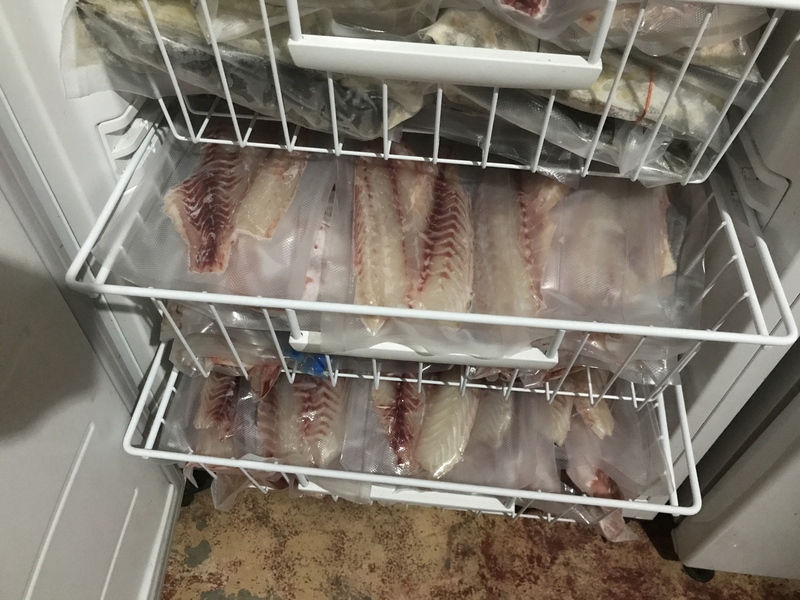 This beauty is almost ready…. 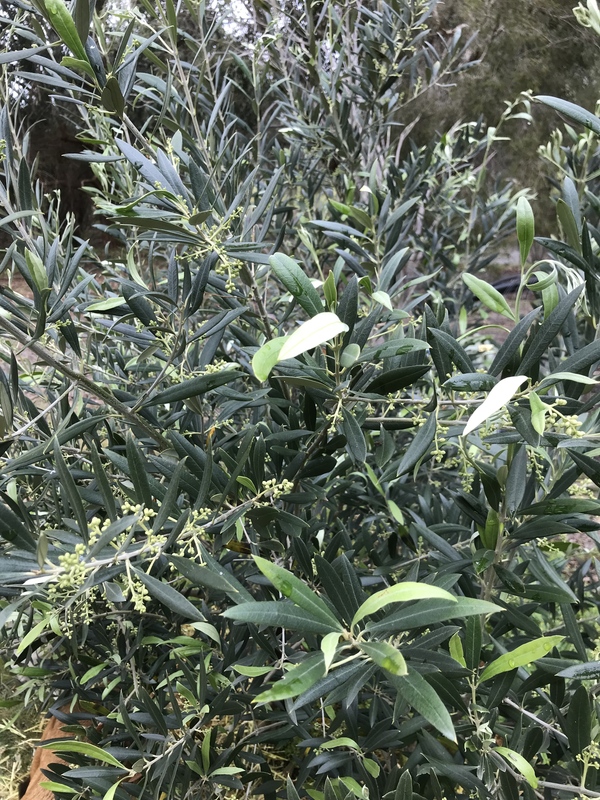 This is the one growing in a pot near the back of the house, not as big but growing! Can’t wait for them to ripen!! 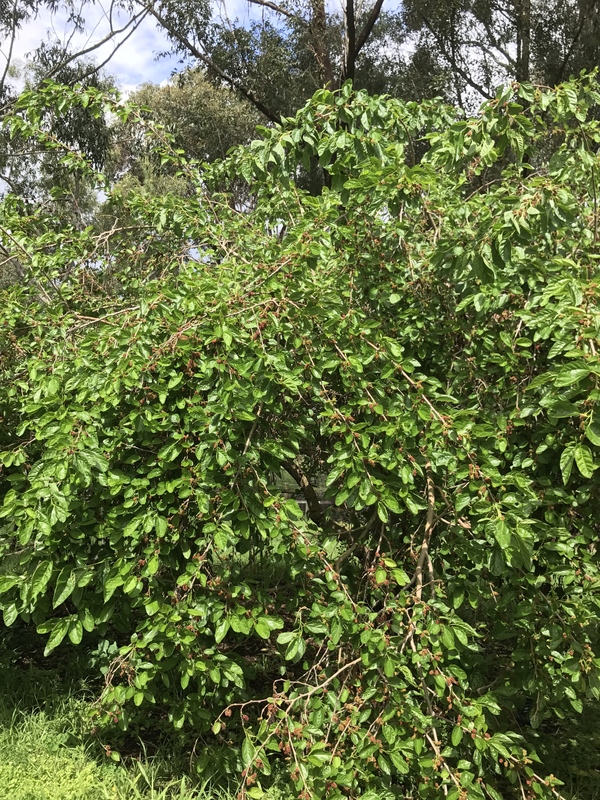 Now the weather is warming up and the Silver Perch in the swimming pool are more actively eating (they slow down a fair bit over the colder months), they are easy to catch on a fishing line. They like prawns, but their favourite is worms! The tricky part is catching more than one- it seems that once the first good sized one is caught, the others know and avoid the bait. We have our great net system now though, which means we can hop in and catch a few-selecting the ones to harvest and releasing the others. 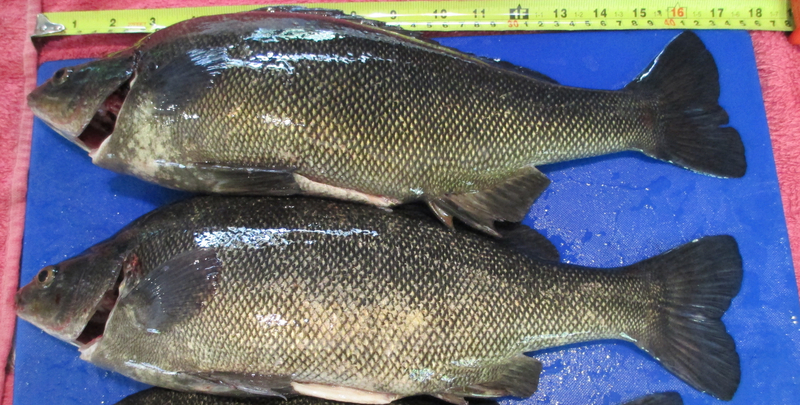 These two beauties were caught for a lunch with guests- the biggest was 1.2kg! 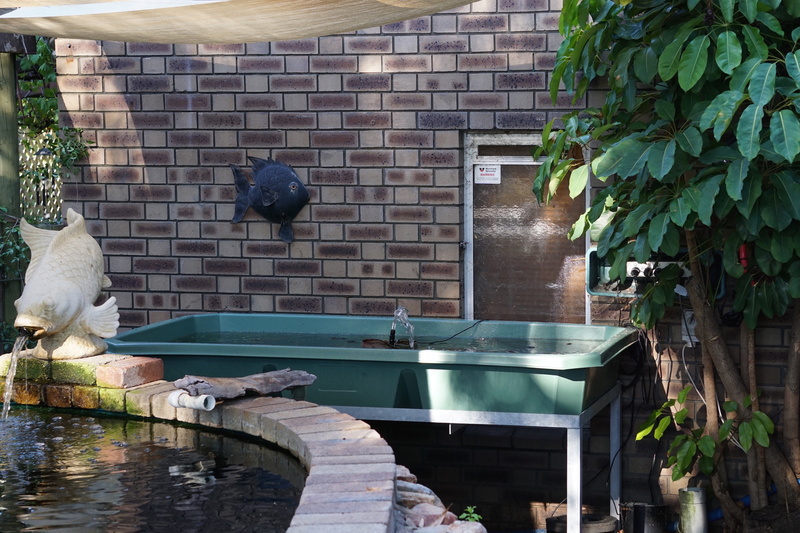 As the water temperatures have gone down below 20C now, we took out the perch from the aquaponics fish tank and added them to the swimming pool with the other perch. It is great to be able to have a variety of sizes of fish living together and not eating each other! We added trout fingerlings to the fish tank for winter, and already they are leaping out of the water to feed! 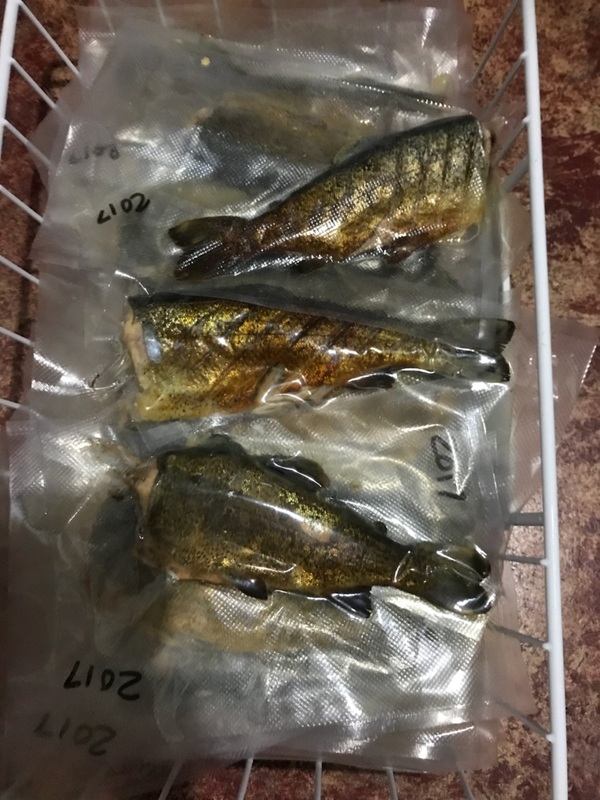 They are so much more exciting than perch, but the perch are certainly tasty and easy to manage. 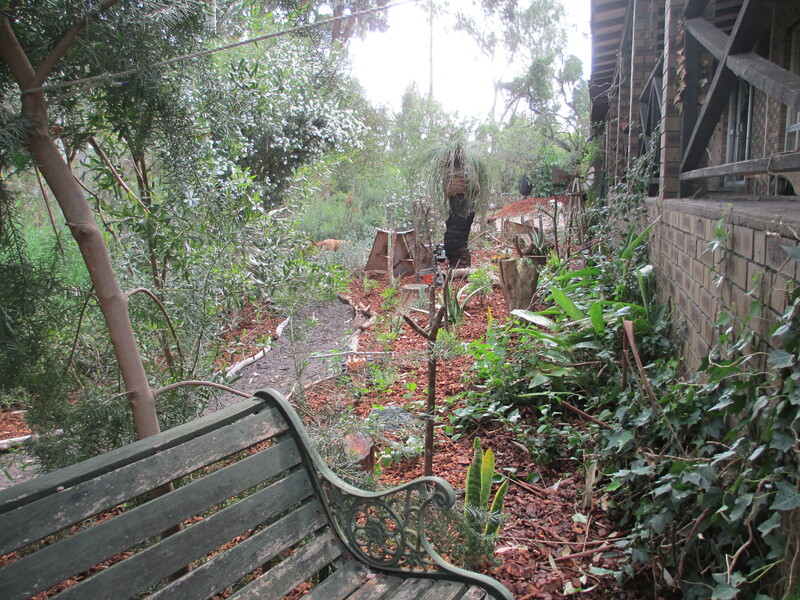 Part of the change over involved a good tidy up of the grow beds, which were looking very sad. Pulling out plants that had finished providing (or were too massacred by caterpillars to keep! 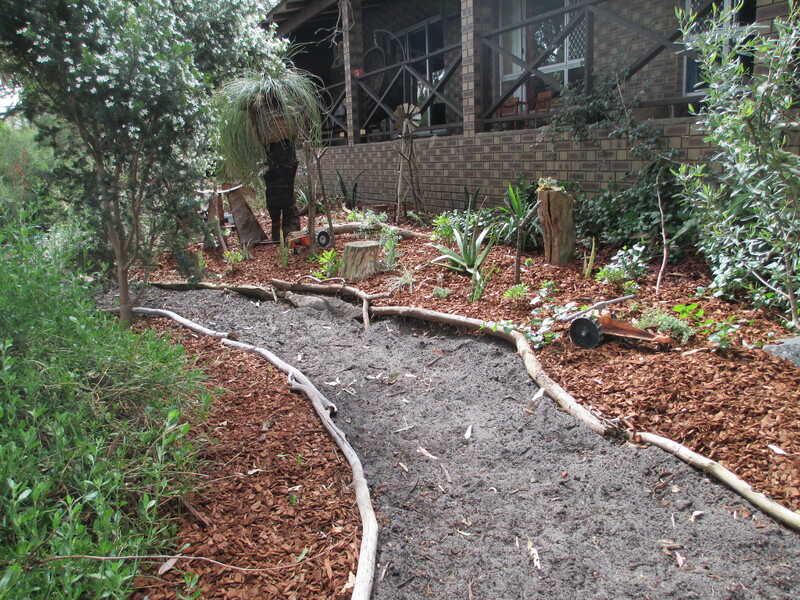 ), adding some fresh expanded clay and seedlings, and they look so much better. 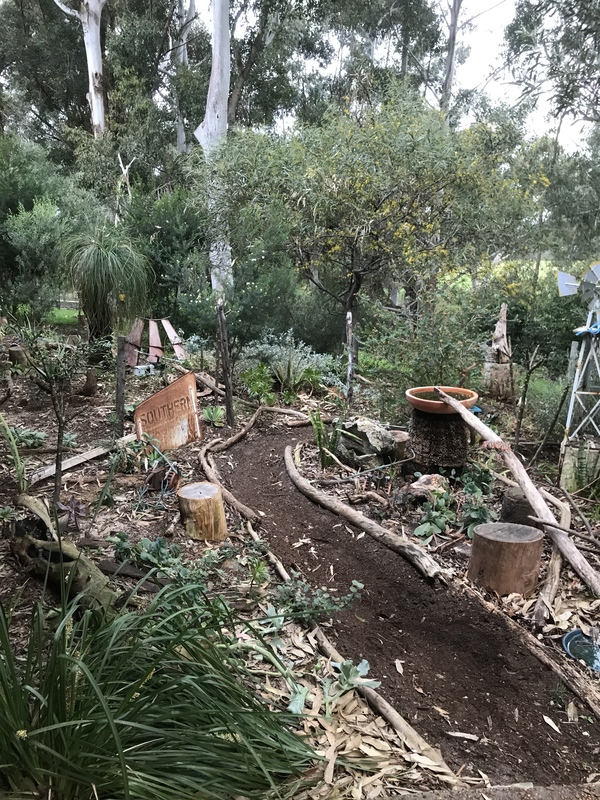 tidied up and ready to grow! 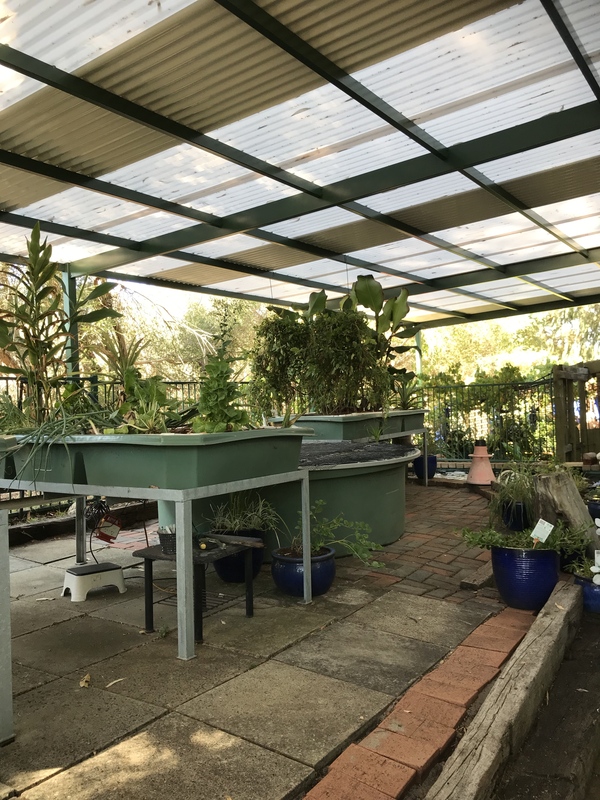 It was also time to harvest some yabbies, and it reminded us of how much it hurt our backs to bend over the ibc tanks to clean them out…so, we purchased a grow bed to match the aquaponics system and replaced the ibc tanks with that. Now we have a great yabbie tank that doesn’t involve bending over to clean, and it looks good too as it matches the AP system! 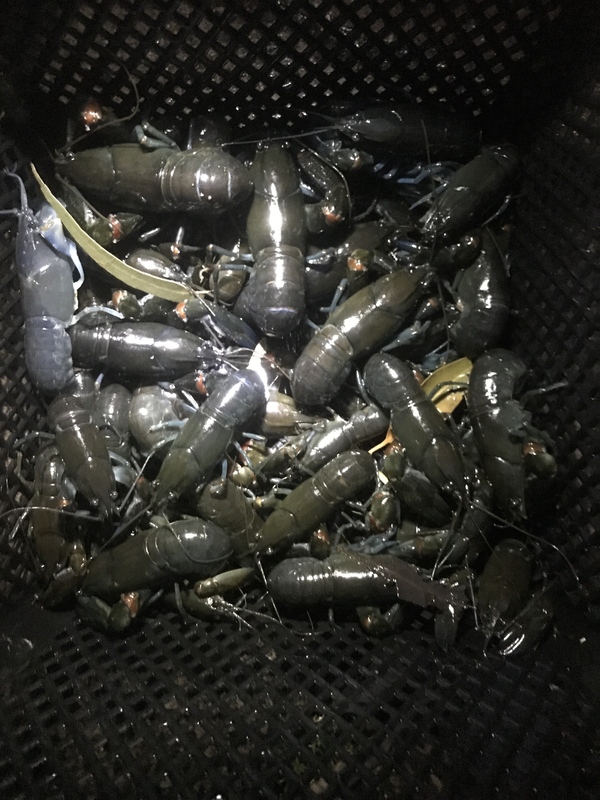 Of course, we had to harvest a dozen or so yabbies at the same time! The hottest Perth day for 24 years!! Well, most of Perth stayed indoors as much as possible today, with the temperature reaching 44.4C…….that is 112F for those overseas! 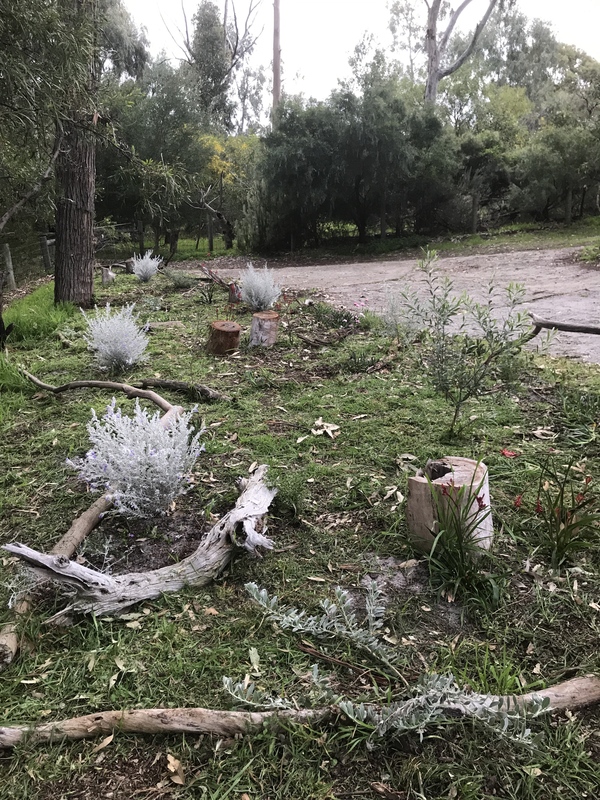 We knew some heat was coming (plus it is summer after all and we do what we can to prepare for the heat…and bushfire season. 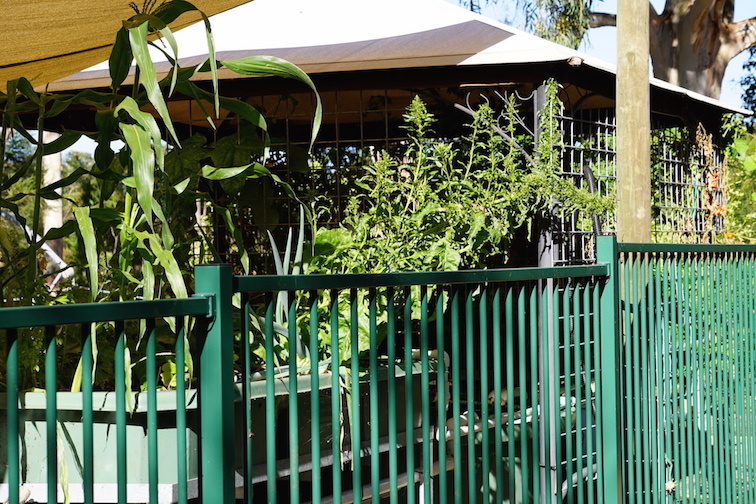 We had put up shade cloth over the aquaponics grow beds, and the duck pen, and thank goodness we did that before today. 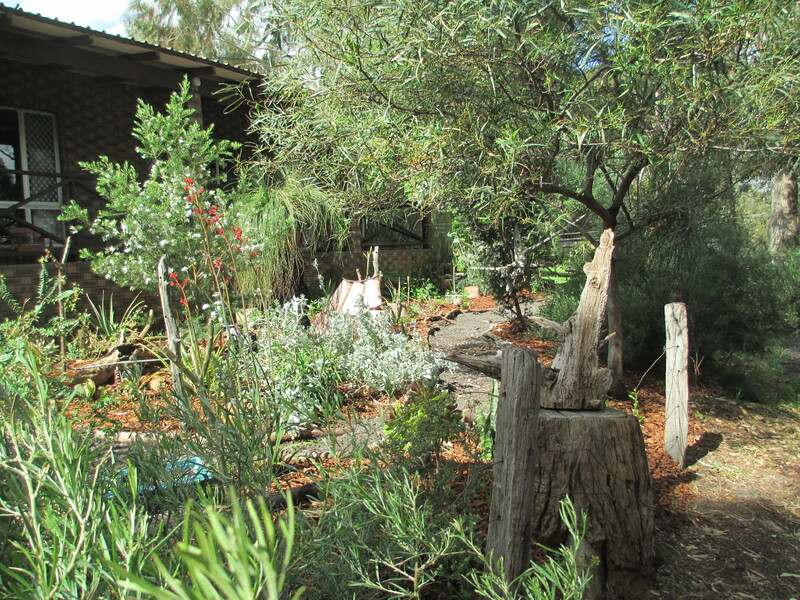 Late yesterday we gave everything a good deep watering in anticipation of the 41C forecast for today. 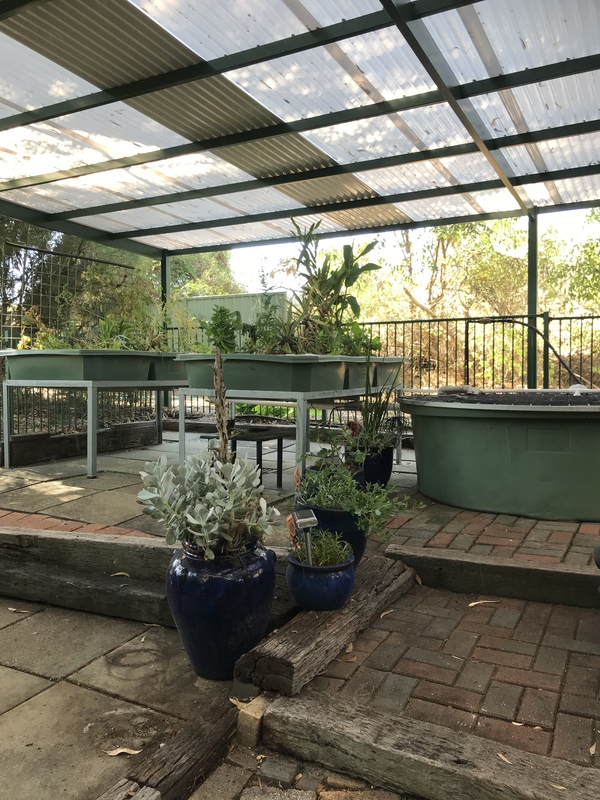 As the temperature soared we turned on some sprinklers to give the birds some relief, and freshened up the water baths (check out the handy hints page) we have around the place. 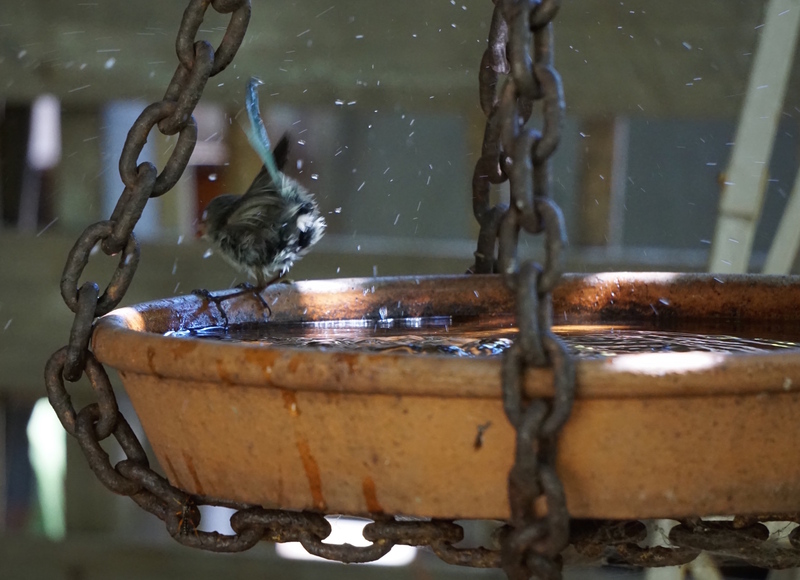 Splish splash I was takin’ a bath…..on a 44 degree day! We also put on the ‘overhead’ sprinklers. 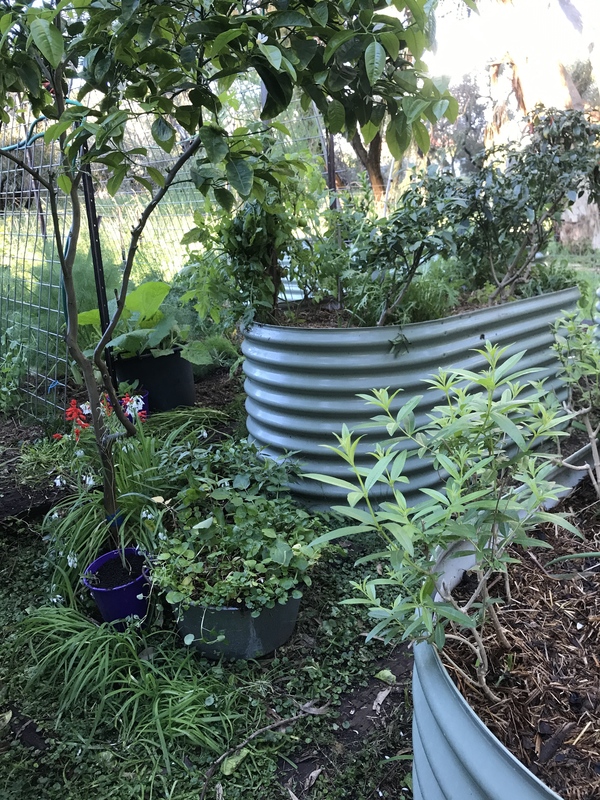 We have these on the house in case of a bushfire, but it also helps to cool down the house (we have a tin roof); and we also have them on the rabbit house, again for both reasons. The rabbits had their two litre bottles of ice (also mentioned in handy hints) this morning, and then a new one at 3.00 to help them out some more. 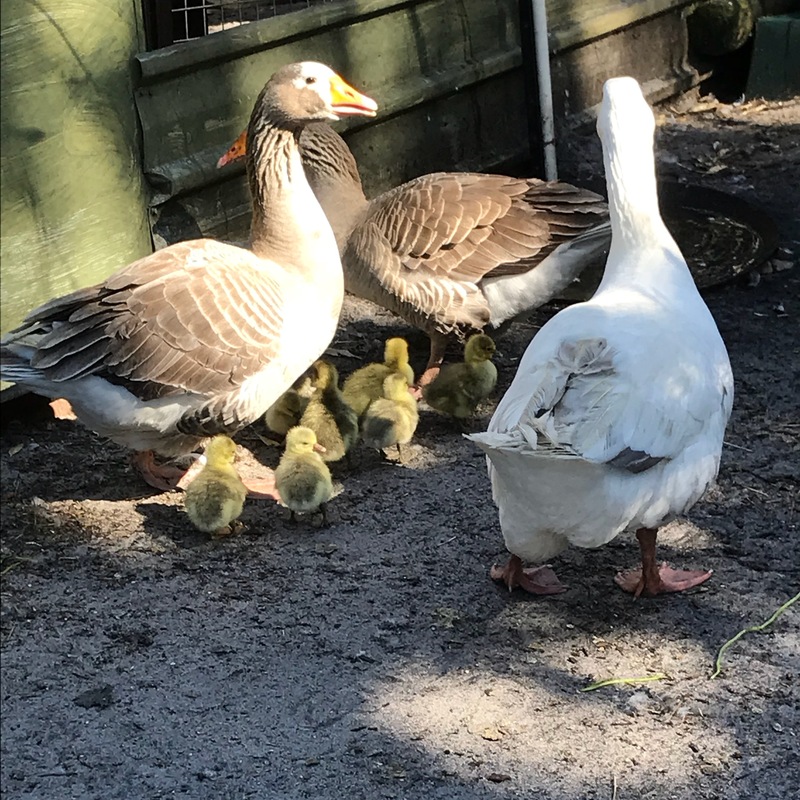 The poor turkeys are hot, as they recently had young and they are too small to let out along with the ducks, geese and poultry. We turned on the sprinkler for them too, and this helped cool them down. 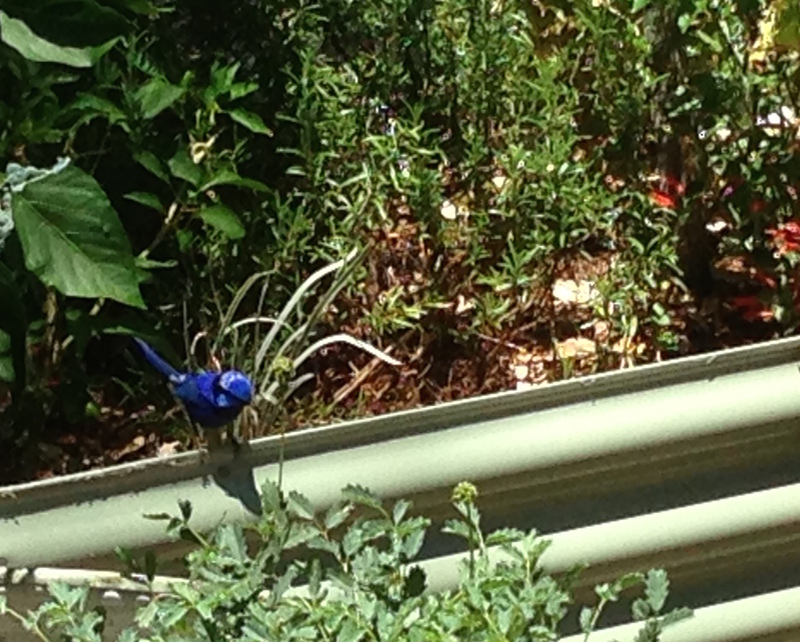 We have had such an abundance of birds lately- particularly the Splendid wrens. They are so comfortable with us being quite close- the only trouble with photographing them is they flit so quickly!! 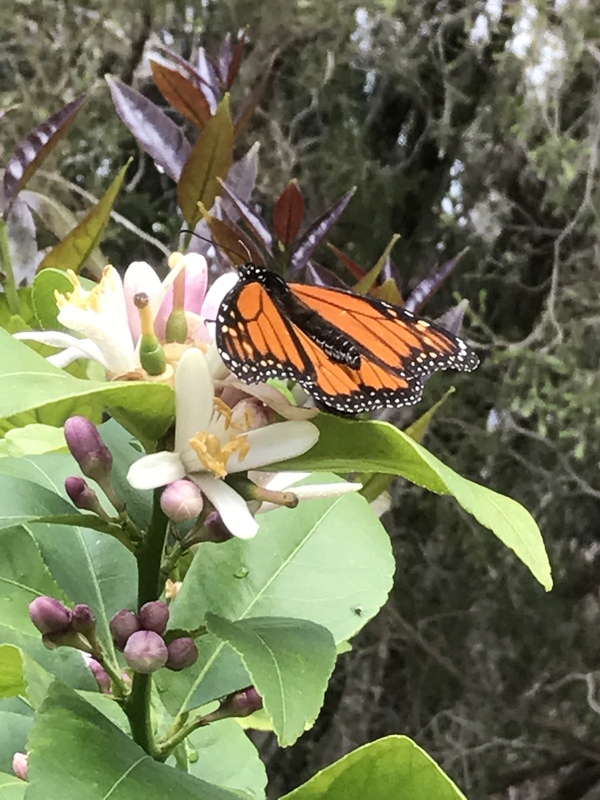 They have become very regular visitors to the vegetable garden and aquaponics garden, and are very welcome indeed as they are eating the caterpillars! Checking out the caterpillars in the veggie garden!